So, you’ve finished playing 18 holes… badly… and you’re exhausted. At least you can relax in the clubhouse bar with a cool drink and a hot meal, and forget the endless misfortunes of your round. On days like that, the clubhouse becomes a welcome sanctuary, a barrier against your fizzled golfing brain. But what if it was only your first round of the day? What if, over the next week, you had to play another 27 rounds of golf? That’s 72 holes a day for seven days. It’s a mind-numbing, energy-sapping thought: seven consecutive days to play 504 golf holes. Now consider that a round of golf covers approximately five miles and you’re talking 20 miles a day… to be played on foot! If you still have the energy to read on, Kyle Hughes will be embarking on this challenge in June 2012. 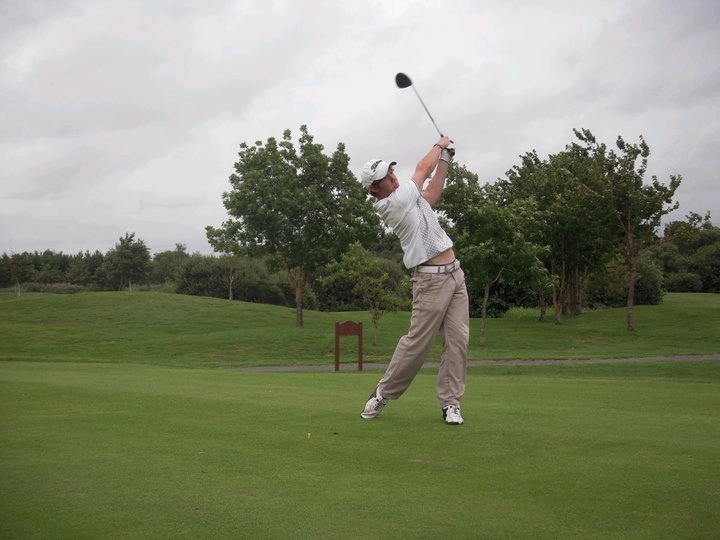 He’s 20, fit and has desires to be a professional golfer – he plays off 2. You’re 20, so what are you doing at the moment? I'm in my last year of studying a BA Hons degree in golf coaching & performance at the University of Central Lancashire which looks at biomechanics, physiology, psychology, coaching, golf conditioning and skill development in golf. Before university, I used to play regularly with a golf society called 'Flame Spirit' who raise money for disabled & disadvantaged children and their families in Liverpool. They do this by putting on golf trips around the country and doing other various events. I'm a guy that loves a challenge so last June, I approached the charity with an idea to play 4 rounds of golf a day for 7 days straight to help raise money in 2012, and this became 'The 504 Hole Challenge'. Yes. The charity has raised a lot of money over the past few years. Last year they raised close to £30,000 and used the money to help families pay for operations that they couldn’t afford for their children. They don’t currently have a way of sponsoring on their website but they are working on it so I've put sponsor forms up in a few golf clubs in Liverpool and other places like my university, Blackpool and London. To date I have about 40 sponsors. I've also been using Twitter (@KyleHughesGolf) & Facebook to advertise the event and raise money that way. There’s also an easier way to donate via ‘JustGiving’ which will hopefully be up and running soon. I start on Monday 4th June and finish on Sunday 10th June. And how much golf are you playing at the moment? Being at university has narrowed down my time to practise so the only times I get to play are when I represent the Uni in golf matches around the country. Playing 504 holes is going to be tough on your body. How are you preparing for it physically? Jon Bowskill (Bowskill Clinic) came to our campus and gave me some great advice. He told me to walk a lot in the run up to the event, whether this be on a treadmill or outdoors on the course itself. So whenever I'm home at the weekends I go for either two 4 mile jogs or a 10-15 mile walk. Along with this, I'm also doing strength, stability & flexibility training such as press-ups, squats, stretches and just about anything on a swiss ball! Where is this event taking place? Is it one course or more? I have been sponsored by the manager at Bootle Golf Course in Merseyside, and I will be playing all 504 holes there. It’s just under 6,400 yards and a par 70. I will be pushing my bag when I'm playing, which means I’ll get a shot at a Guinness World Record. A Guinness World Record? Which one? When I looked further into this challenge I found that there is a Guinness World Record for 'Most golf holes played in one week', but that was driving in a buggy – there isn’t one for walking. I'm currently waiting for a registration number of the charity and then I'm going to send an application form off to GWR and see what they say. Hopefully, all will go well and I will complete the challenge without too many injuries, raise lots of money for a good cause and maybe, just maybe, get a Guinness World Record certificate. And after that, what are your plans? When I reach a handicap of scratch or better, then I will turn pro. I would also like to become T.P.I qualified one day and go down the Golf Training & Conditioning route. Best of luck Kyle. Let us know how you get on... if you've still got the energy.